Fifth Domain has learned the topics discussed during the briefing included the maturation of Cyber Command, its cadre of cyber warriors known as the cyber mission force and the dual hat relationship with the National Security Agency. But now those particular worries are coming into greater focus. Specifically, the committee is concerned about the maturity of the cyber mission force, the 133 teams each of the services collectively provide to Cyber Command. Members also want DoD to have a structure in place where cyber warriors can either organize, train and equip and fight, a Congressional aide said. Perhaps most importantly, they want to know how cyber forces will be used. Joseph Kirschbaum, the director of defense capabilities and management at the Government Accountability Office, said the GAO has recommended to the subcommittee that DoD determine clear roles and responsibilities for who’s supposed to do what, command and control constructs, under what conditions cyber forces would be used and who would command them. Kirschbaum also discussed capabilities from a “total force” perspective, meaning guard and reserve. Prior to severing the dual hat relationship between Cyber Command and NSA, DoD must ensure there are robust command and control and processes for planning and deconflicting cyber military operations, per last year’s annual defense policy bill. Two items in the most recent defense authorization bill were designed to get at the command and control relationships and how forces are being used, an aide said. 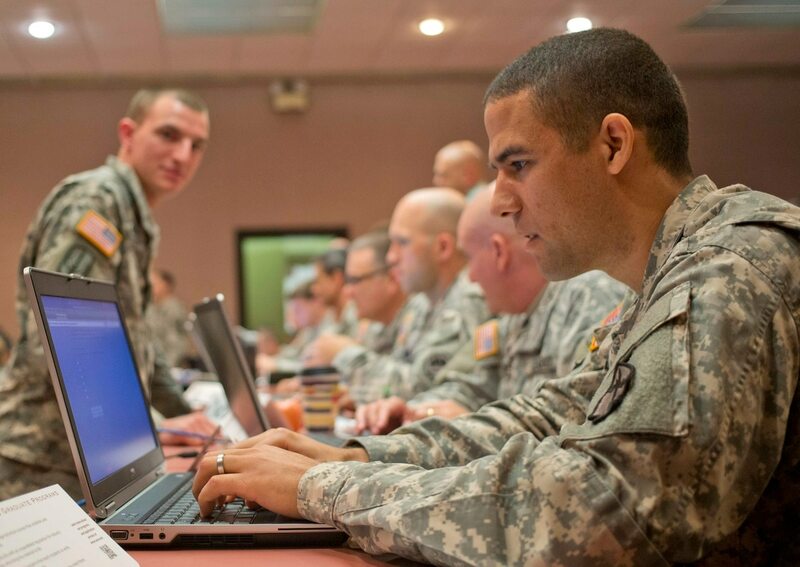 The bill includes requirements for DoD to provide notification of sensitive military cyber operations and quarterly briefings on cyber operations. The cyber mission force will also need enhanced authorities to act including clear rules of engagement, as well as appropriate resources and funding, Jamil Jaffer, founder of the National Security Institute at George Mason University Law School and a former senior counsel at the House Intelligence Committee, told Fifth Domain. From a top level, Cyber Command itself was granted limited acquisition authority from Congress. The idea behind this authority, a House aide said, was Cyber Command would have $75 million of flexible acquisition authority for items that would be needed in an emergent situation or maybe even a portion of that could be a standing need across the services. “The tools are different. Tools designed to reside and extract information might be different than tools designed to delay, degrade, disrupt and all that,” Michael Hayden, former director of the NSA and the CIA, told C4ISRNET last year. Still, the issue of readiness remains. Michael Sulmeyer, director of the cybersecurity project at Harvard’s Belfer Center and the former director of plans and operations for cyber policy at the Pentagon, said he is watching the readiness discussion surround the cyber mission force, not in terms of a technical definition of what it means for a team to be ready, but are those teams ready to do missions they’re asked to. With the massive investment that has been made in the cyber missions force, he said there needs to be a focus around that team’s readiness. If they’re not ready, it’s important to be honest and figure out what steps to take to close that gap.